People come to Tahoe from all over the world to enjoy the scenic beauty of the Sierras, but many come to fish in some of the most spectacular settings the world has ever known. 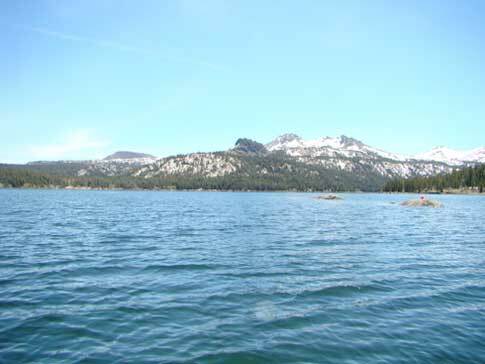 Lake Tahoe has great fishing, trout, salmon, mackinaw, catfish and many others. Some of my favorite fishing holes though are out in Hope Valley. There's Red Lake, Caples Lake and Blue Lakes all within a few miles of eachother, and all are great spots to spend the day rustlin' up some dinner. Don't waste another minute, grab your rod and tackle box and enjoy fishing the areas most breathtaking and relaxing lakes.So, remember now, "Fishing is just a jerk at one end of the pole waiting for a jerk at the other end". Maps, tips and regulations can be obtained from the Department of Fish and Game. This is one of my favorite getaways, Blue Lakes is set into one of the prettiest locations you could find. The drive up to the lakes has awesome fishing along the river that straddles the paved road darn near the whole way up to Blue Lakes. Rainbows are planted here every other week June & July. Making the fishing pretty dang easy at another beautiful location. Browns can be found in Lower Blue Lake and cutthroat in Upper Blue Lake with rainbows galour!!! It's a 12 mile drive off the 88 but the remote mountain lakes are worth the extra bit of drive time. There is several camping areas that you can use around the lakes and on the road up to the lakes. Road is often closed by snow until June. Small boats only. Directions - From Meyers, at junction Hwy's 50-89; take Hwy 89 S, go 11 mi. to junction with Hwy 88. Turn W; go 2.5 mi. on Hwy 88 to Blue Lakes Rd. Turn S, go 12 miles to Lower Blue Lake. Road turns N, 2 more mi., to Upper Blue Lake. This is an outstanding location to catch fish. Along with spectacular scenery and great fishing you can take your boat out or rent a boat at the marina. This lake is so popular that anglers will try their luck year-round at this prestine location. Definately one of my most favorite spots to catch some nice fish. Rainbows every other week spring and summer. Browns and brooks twice a year. Put-and-grow fingerling lake trout. Year around fishing, clear water, ice and snow in winter, shore is lined with large granite boulders: evergreen trees surround lake, some aspen and brush on slopes. Bait & tackle, store, resort. RV sites. The spring run-off has been filling Caples up at a rate of about a foot a day. This is great news to hear after seeing the levels so low at the end of last summer when Caples was drained for installation of new gates on the dam. So with water levels rising and thousands of pounds of new planters added regularly, this lake is a fisherman's paradise. 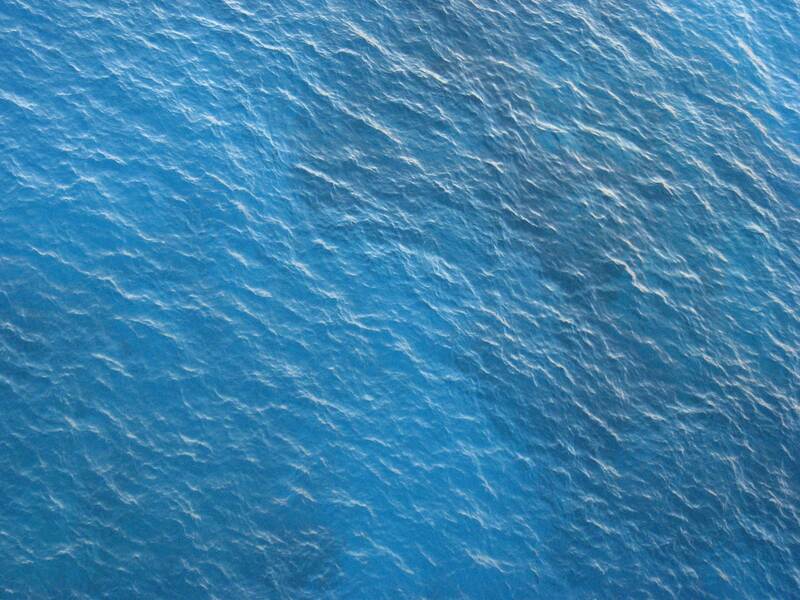 Rent a boat or bring your own boat, or fish along shores, you'll be glad you came. . Directions - From Meyers, at junction Hwy's 50-89; take Hwy 89 S, go 11 mi. to junction with Hwy 88. Turn W on Hwy 88, go 11.5 mi. (past Blue Lakes Rd. through scenic Hope Valley); access on W side of highway near dam From Tahoe. From Jackson, at junction Hwy's 49-88; Take Hwy 88 E, go 62 mi. 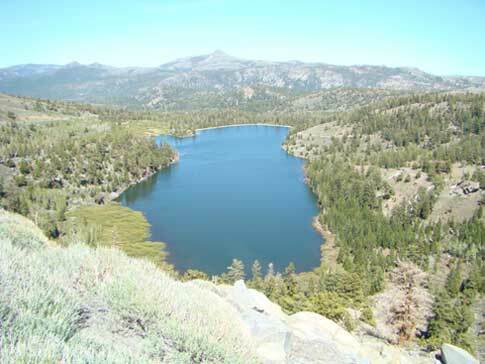 (past Silver Lake and Kirkwood) to lake on R.
This is a nice easy hike of approximately 1/2 mile at 7450' elevation, easy to get to and well worth the hike. This fabulous destination will reward the hiker/angler with a wonderful day of swimming, fishing, boating or even cliff jumping (but be careful, lots of folks get hurt jumping off of Angora's steep cliffs). There are summer cabins to rent as well as boats, so there is some nice amenities there. 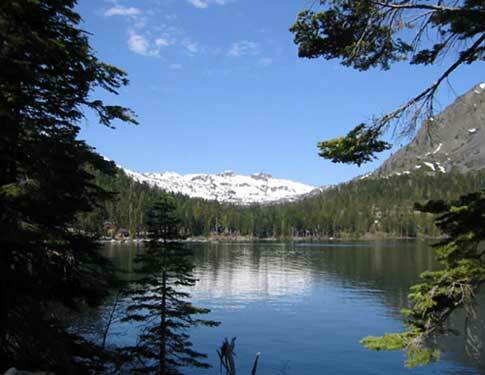 The resort is located at upper Angora Lake. Directions - Take Lake Tahoe Blvd. through the 'Y' (do not follow hwy 50 or Hwy 89) and then turn right at Tahoe Mountain Road (about two miles). Follow the road until you must turn. From there all you have to do is follow the signs that will lead you to Angora Ridge Road. You can also access Angora by taking Hiway 89 north approximately three miles from the 'Y' to Fallen Leaf Lake Road and turn left. Turn left at the first paved road. Continue to Forest Service Road 12N14 and turn right. Continue past Angora Lookout to the road's end at the parking lot. 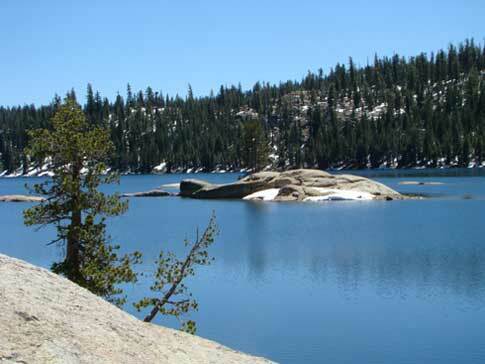 There is an array of Alpine lakes on these easy to moderate beautiful trails. There is boating, waterskiing, fishing and of course, breath taking views here. There are boat rentals at the resort and plenty of parking for all enthusiasts. Elevation varies from 7400' - 8400'. Rainbows monthly May through July, boat plants to Upper lake. Put-and-grow fingerling cutthroat and rainbow in Lower lake; fingerling rainbow in Upper lake. Pristine water, ice fishing in winter; forested, granite terrain. Marina, bait & tackle, store, propane, resort. No camping. Barrier-free fishing, bathroom, lodging. Directions - Take U.S. HWY 50 to Echo Summit and turn onto Johnson Pass Road. Stay left and the road will lead you to the parking area at Lower Echo Lake. There is a boat shuttle that will taxi offered that takes a few miles off of your hike if desired. Wilderness permits are required. 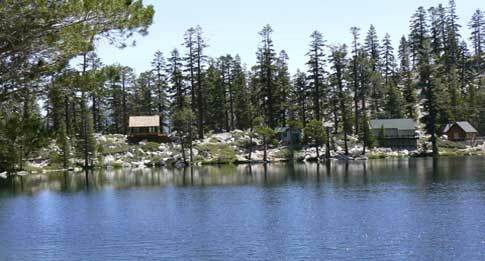 Hiking distance to nearby lakes: A) 2.5 miles to Upper Echo Lake. B) 4 miles to Tamarack. C) 5 miles to Lucille and Margery. D) 5 miles to Lake of the Woods. E) 6 miles to Aloha Lake. You can drive strait to the marina at Fallen Leaf Lake and rent a boat to do some fishing or if you want to hike a bit and fish from the land then you can take the "Moraine Trail". This will take you through a nice easy hike through the surrounding forest of majestic Fallen Leaf Lake. This is a good trail for families as it is easy to traverse and fun for kids and adults. Bring your swim suit and fishing pole so you can enjoy Fallen Leaf to its fullest. 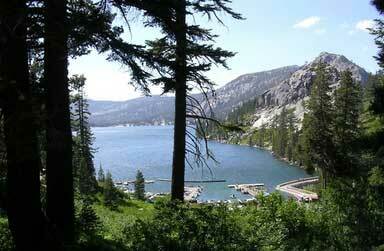 Directions - Take Highway 89 north approximately 3 miles from the 'Y' in South Lake Tahoe to Fallen Leaf Lake Road. Continue about 2/3 of a mile to Fallen Leaf Campground. Drive through the campground and park just before campsite #75 on the right. There is no fee for day use. In the winter, when the campground is closed, you must park just beyond Fallen Leaf Campground off of Fallen Leaf Lake Road and walk to the trailhead. Fingerling Lahontan cutthroat stocked as refugia backup to Heenan Lake stock. Cutthroat brood fish from Heenan Lake egg collection during May. Near highway, in an open basin just east of Carson Pass; south and West slopes are forested. State has purchased water rights to stabilize lake level and enhance fish habitat. Directions - From Meyers, at junction Hwy's 50-89; take Hwy 89 S, go 11 mi. to junction with Hwy 88. Turn W on Hwy 88, go 6.5 mi. (past Blue Lakes Rd. through scenic Hope Valley); access on W side of highway near dam.